I can't comment on the rooms as I haven't stayed here but we spent a lovely morning looking around the resort and following the path round to the Wedding pavillion and Grand Floridian. 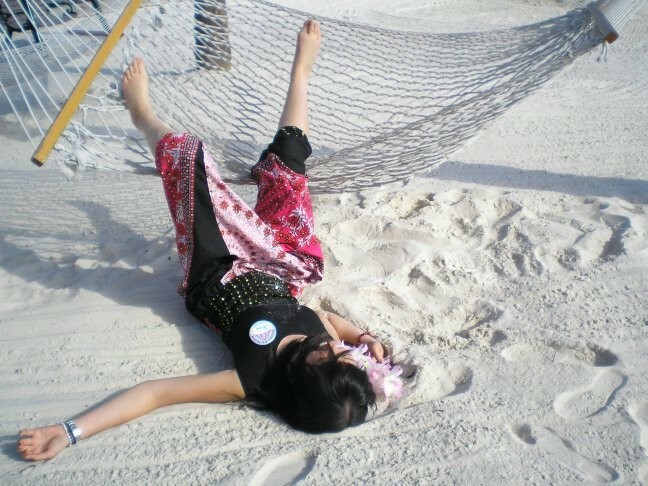 The beach is lovely. I understand there is work going on at the moment but hopefully when this is all done, the resort will be as beautiful as ever. 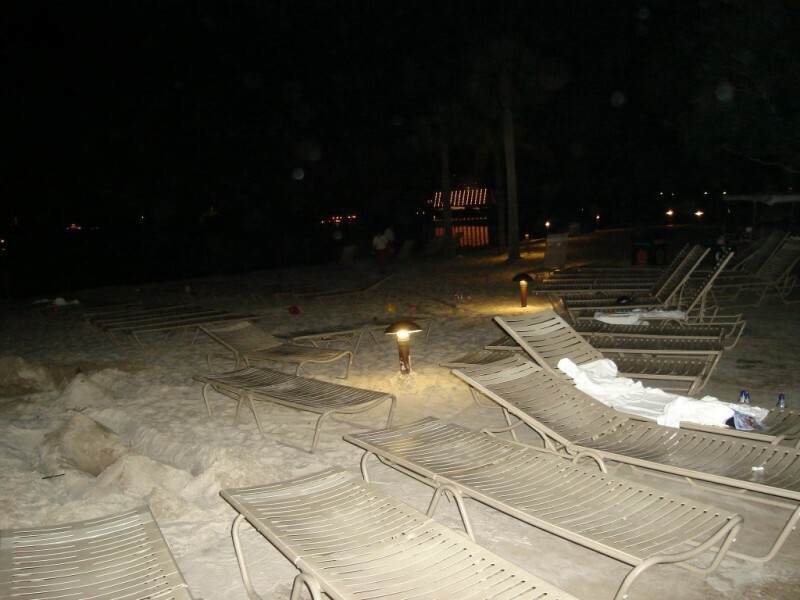 The Resort is currently undergoing a large transformation and refurbishment into a DVC Resort. From 1st April 2015 there will be additional accommodation available, in the form of 20 luxurious lagoon villas. 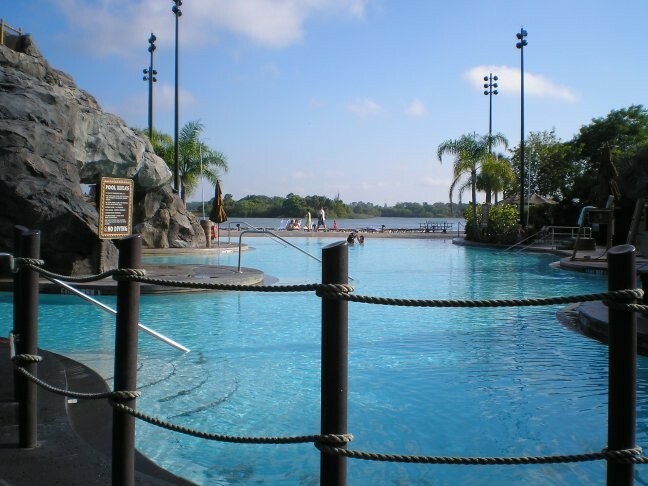 On the shores of the Seven Seas Lagoon, just south of the Magic Kingdom Park, sits Disney's answer to a South Pacific paradise. One of the many benefits of being on the Lagoon, is the potential for romance. 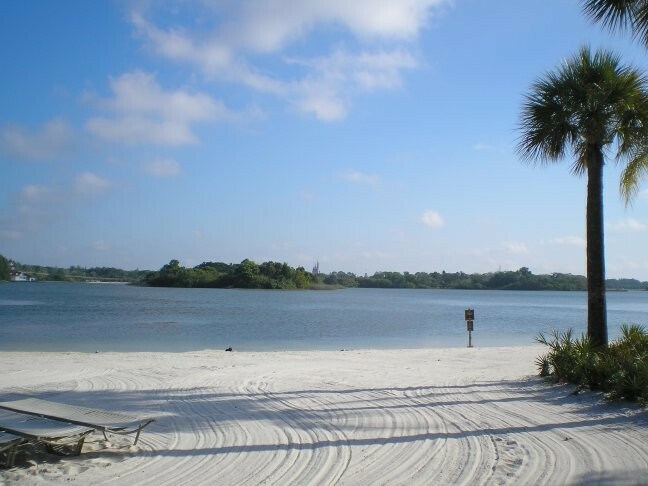 The beaches or boat dock are great spots from which to view the Electrical Water Pageant or Magic Kingdom Park fireworks with that special someone. 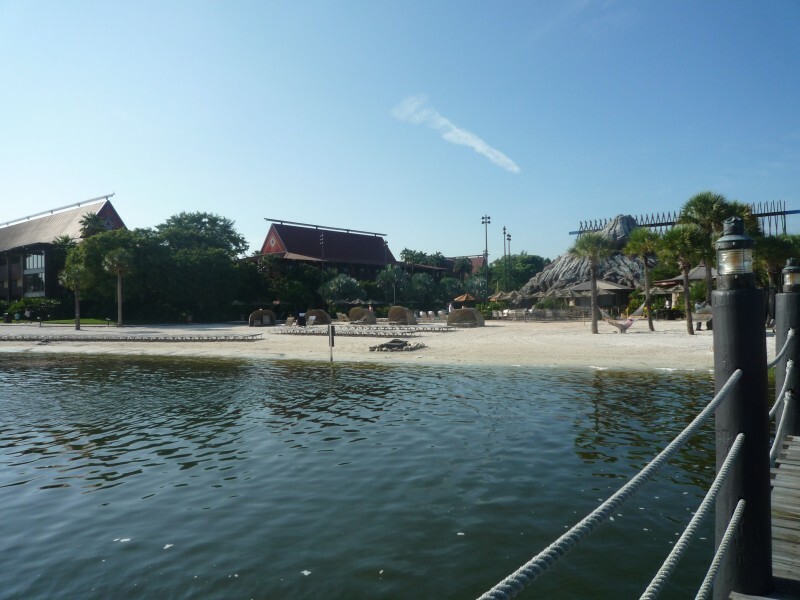 Disney's Polynesian Resort is one of the two original Walt Disney World resorts that opened in 1971. 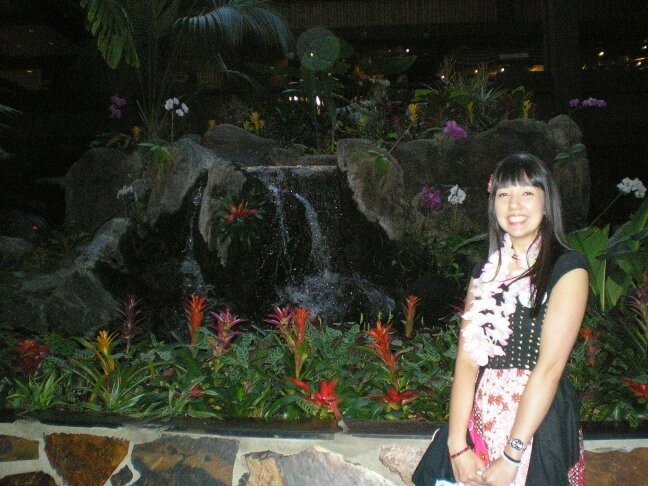 The centerpiece of Disney's Polynesian Resort, is the Great Ceremonial House, the resort's main reception area. 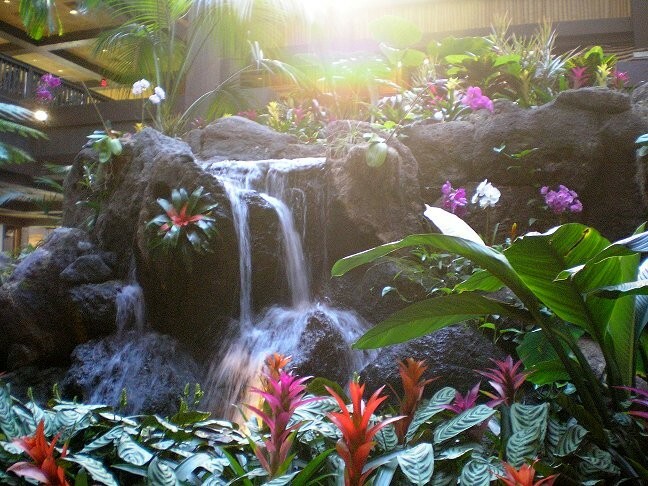 This tropical paradise has a 3 story high garden that takes up much of the lobby area. 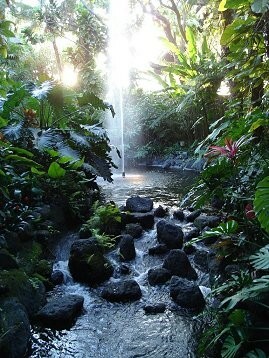 Cascading water falls over craggy volcanic rock amidst an atrium that has 75 varieties of tropical and subtropical plants. 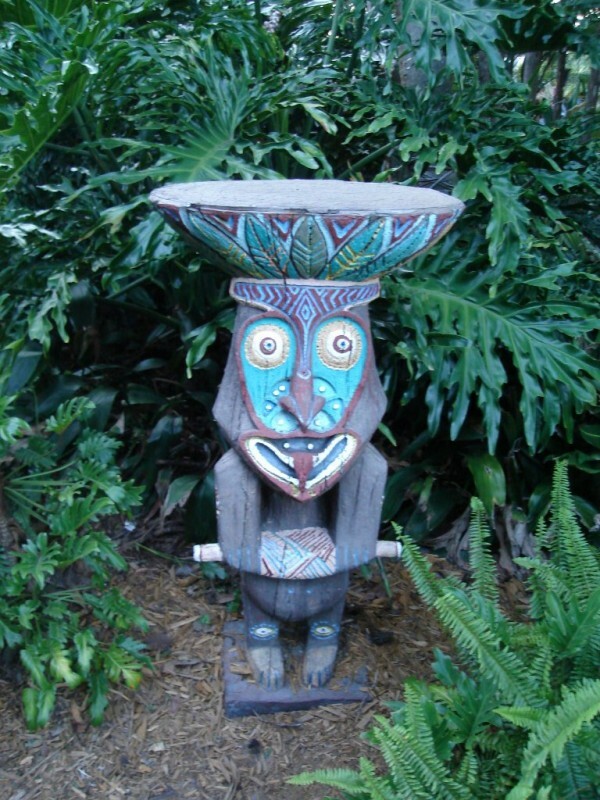 The theming continues throughout the grounds of the resort with white sand beaches, torchlight walkways, tropical landscaping, waterfalls, colorful costumes and longhouses fashioned after South Pacific lodges. The rooms are located in the eleven A-frame longhouses that have exotic names such as Tonga, Aotearoa, Fiji, Tuvalu, Hawaii, Samoa, Niue, Rarotonga, Tokelau, Tahiti, and Rapa Nui. 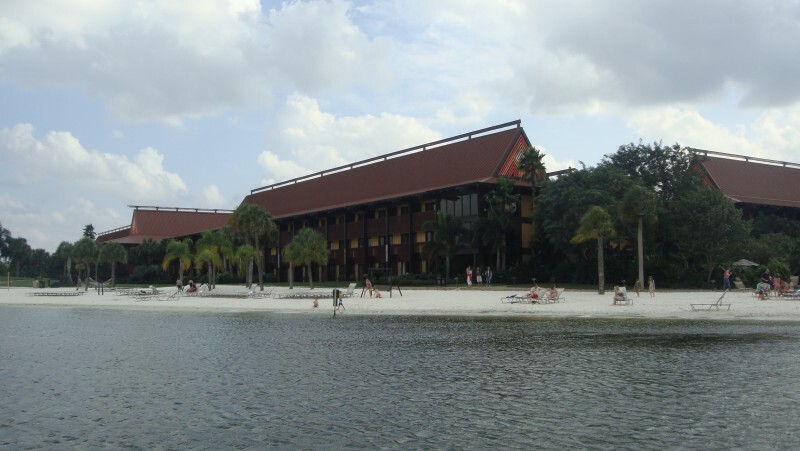 Disney's Polynesian Village Resort is on the monorail route and the station is located on the second floor of the great Ceremonial House. This monorail route stops at Disney's Grand Floridian Resort & Spa, Magic Kingdom Park, Disney's Contemporary Resort and the Ticket and Transportation Center as well. To get to Epcot, you must transfer at the TTC to get on a separate train that travels to Epcot'. 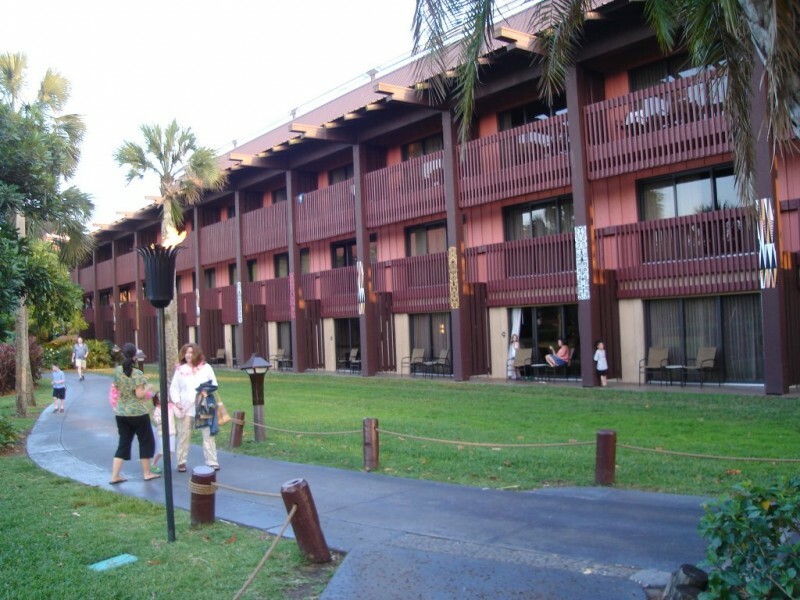 There is a walkway to the TTC that is just a short walk from the Tahiti and the Rapu Nui longhouses. Guests of Disney's Polynesian Resort who wish to go to Disney-MGM Studios, Disney's Blizzard Beach Water Park , Disney's Grand Floridian Resort & Spa, Disney's Wilderness Lodge, or Downtown Disney' Area , can take the bus from the stop in front of the Great Ceremonial House. 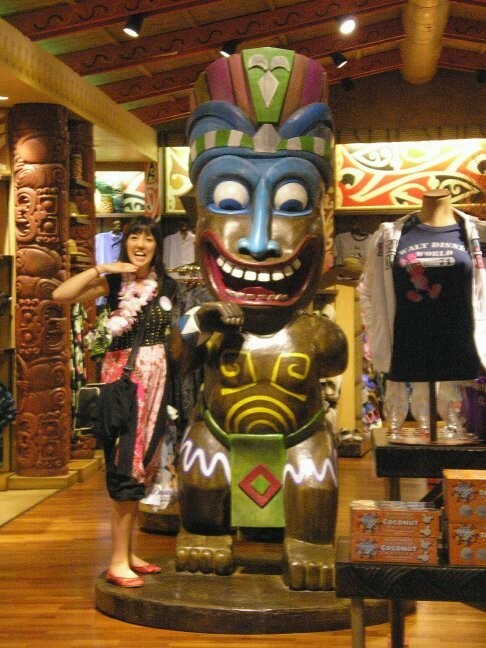 After 4 p.m., those wishing to go to Downtown Disney' Marketplace, Downtown Disney' Pleasure Island, or Downtown Disney? West Side , must take a bus from the TTC. 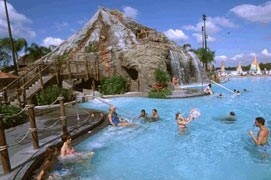 Disney's Typhoon Lagoon Water Park is only accessible from the buses from the TTC as well. Water taxis will take guests to the Magic Kingdom? 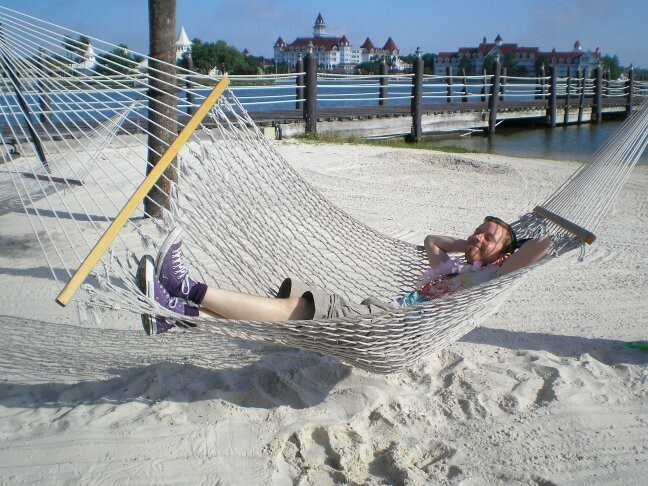 Park or the Disney's Grand Floridian Resort & Spa. 1,093 sq-ft. 2 bedrooms - sleeps up to 8. Master bedroom with King-size bed, second bedroom with Queen-size bed and pull-down bed. Living room with living space, dining table, second pull-down sleeper bed. Kitchen and Laundry area. Private deck with plunge pool and sun loungers. Views of the Magic Kingdom Fireworks. Standard View Room - sleeps up to 5. It has 2 queen beds. Theme Park View Room - sleeps up to 5. It has 2 queen beds and 1 day bed. Facilities include :- Free Wi-Fi, Air-conditioning, Hairdryer, Iron & Board, Radio Clock Alarm, Telephone, In-room Safe, Coffee Maker and Crib'n Play Pack. 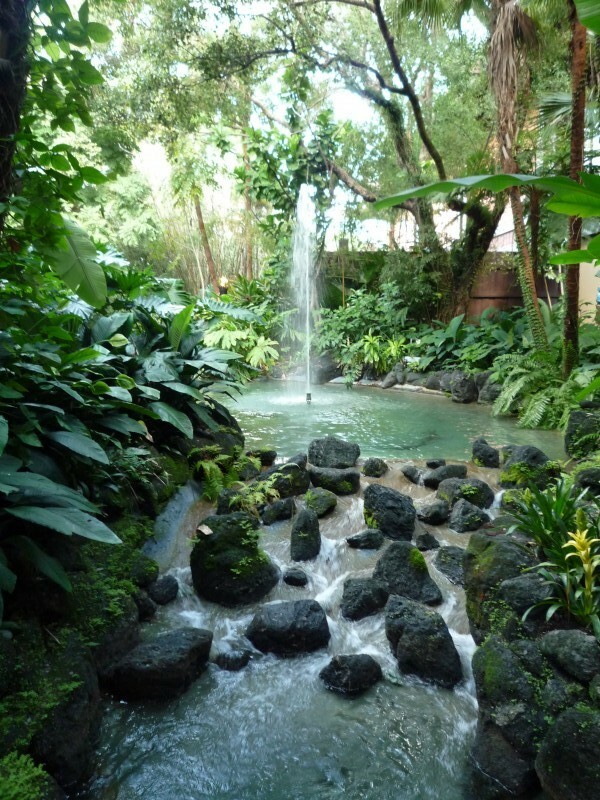 Rooms have either a Garden View, Lagoon View or Theme Park View - sleep up to 5. They have 2 queen beds and 1 day bed. 1 Bedroom Suite - Marina View - sleeps up to 5. It has 2 queen beds and 1 day bed. Facilities include :- Free Wi-Fi, Air-conditioning, Hairdryer, Iron & Board, Radio Clock Alarm, Telephone, In-room Safe, Coffee Maker and Crib'n Play Pack. Personalised Front Desk and Guest Services, Evening Turndown Service, Secured key access to club-level lounge, serving refreshments from 7am to 10pm daily, access to concierge service at King Kamehameha Club, complimentary health club access, newspapers, fax assistance and Pre-arrival WDW Resort itinerary planning. 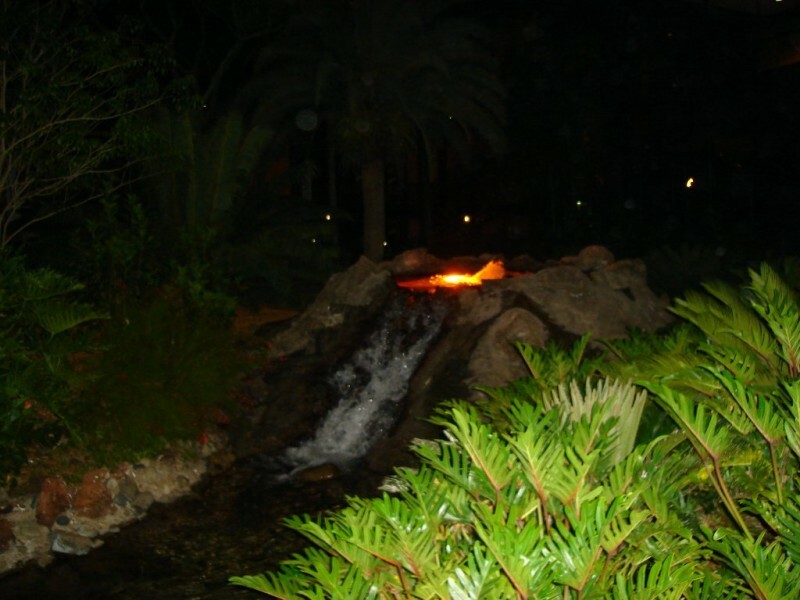 The Resort offers plenty of Dining options to choose from. 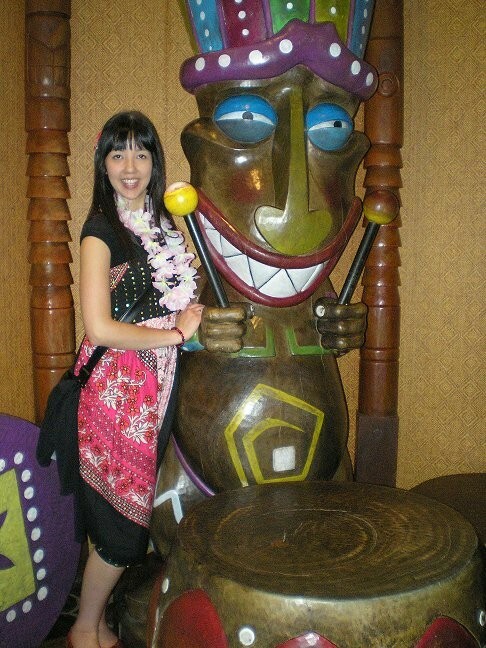 "Kona Cafe" is located on the second floor of the Great Ceremonial Hall. The restaurant offers really good food and is open daily from 7.30am to 9.45pm. Kona Cafe has a cheery casual atmosphere and is vibrantly coloured to reflect the tropical influence of the South Seas.The cuisine is based on traditional American dishes infused with Asian flavours. The restaurant serves perfectly cooked mouthwatering steaks as well as chicken and duck dishes and delicious fresh seafood. 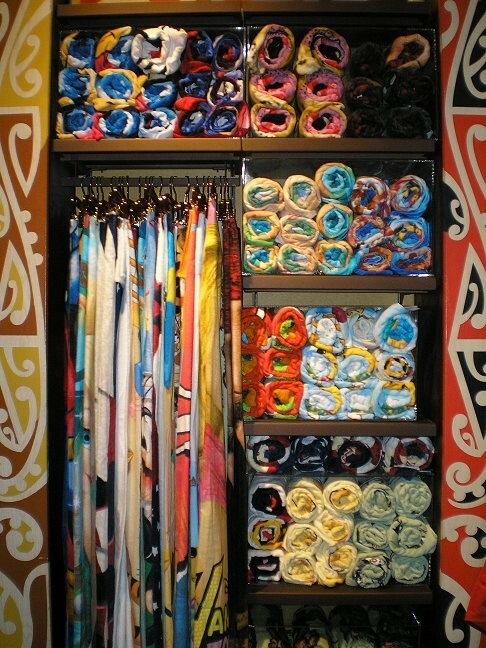 "Ohana" is located on the second floor of the Great Ceremonial Hall. The restaurant is open for Dinner Service. 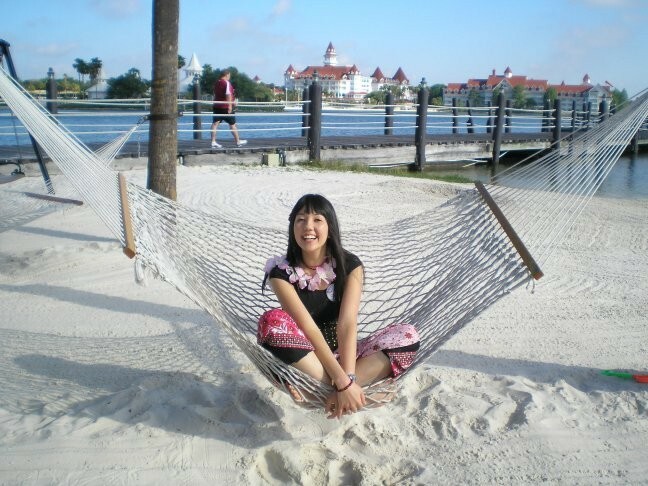 "Ohana...a place of family, laughter and sharing...Hawaiian style"
Offering Hawaiian style cuisine, the large restaurant overlooks the Seven Seas Lagoon, Disney's Grand Floridian Resort and the resort pool and volcano. "Ohana's Best Friends Character Breakfast' Featuring Lilo and Stitch"
Lilo, Stitch and other friends invite you to join them for a Polynesian influenced American Buffet Breakfast. Feast family-style on selections which include scrambled eggs, Island-style fried potatoes, Hawaiian pork sausages and an assortment of fresh fruits and breads. Quick Service meals are provided at the Barefoot Pool Bar, Kona Island and Capt. Cook's. 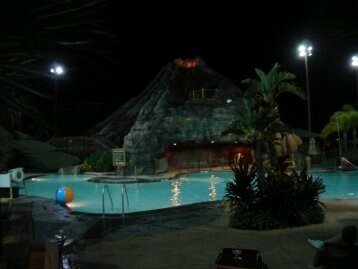 The Spirit of Aloha Dinner Show is situated at Luau Cove in Disney's Polynesian Resort. The Show is performed from Tuesday through to Saturday either at 5.15pm or 8pm. As the show is performed in an open-air theatre there may be times when the show is cancelled due to inclement weather. 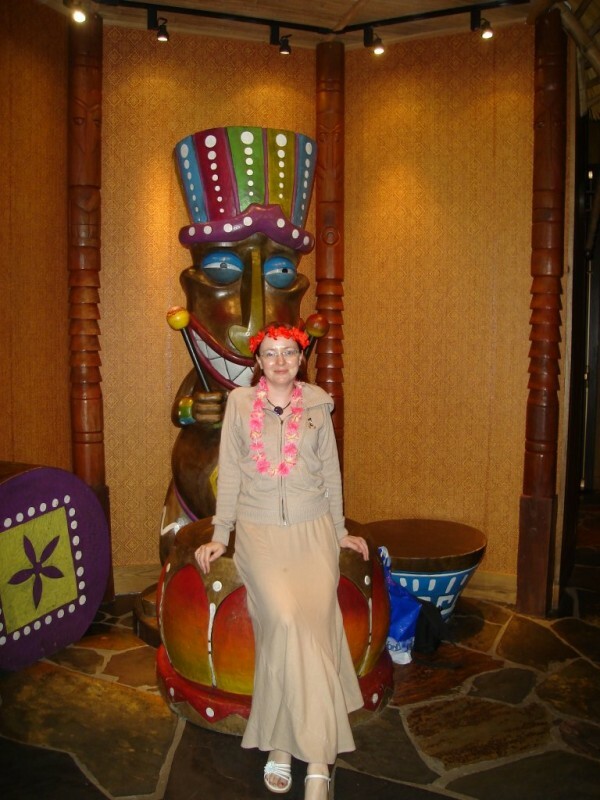 You are invited to an take part in a Hawaiian-themed Dinner Show filled with Authentic Polynesian rituals. Join Auntie Wini as she welcomes a local girl who after being away returns back home. 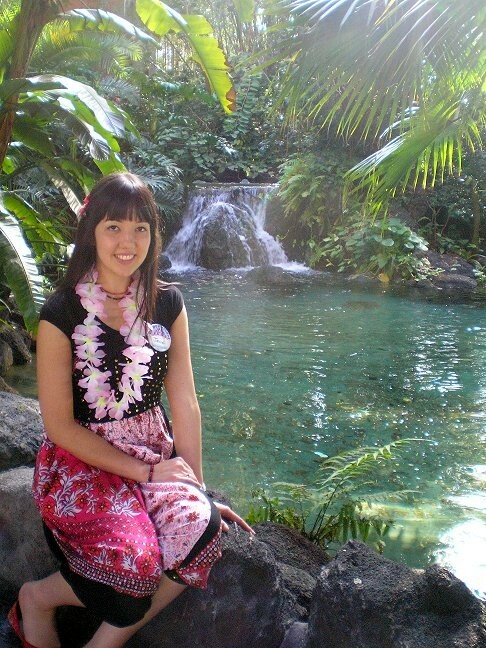 Celebrate the spirit of Aloha the Polynesian way and watch dancers as they perform traditional dances from Hawaii, Tonga, New Zealand and Somoa, along to the the thronging beat of the drums. There's so much on offer here, that you'll never be bored! 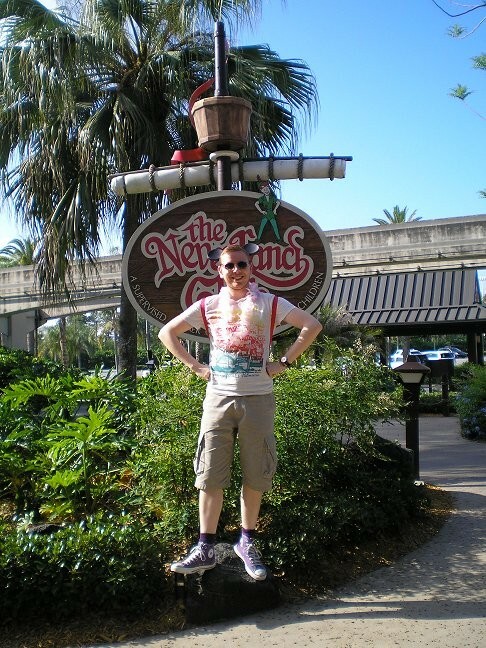 Hire a Sailboat or Motorised Boat and sail on the Seven Seas Lagoon, or take part in a bit of Fishing. Why not explore those pathways on a Bicycle, they are available to hire for Adults and Children, there's also the Family option with a 2 person or 4 person Surrey Bike! 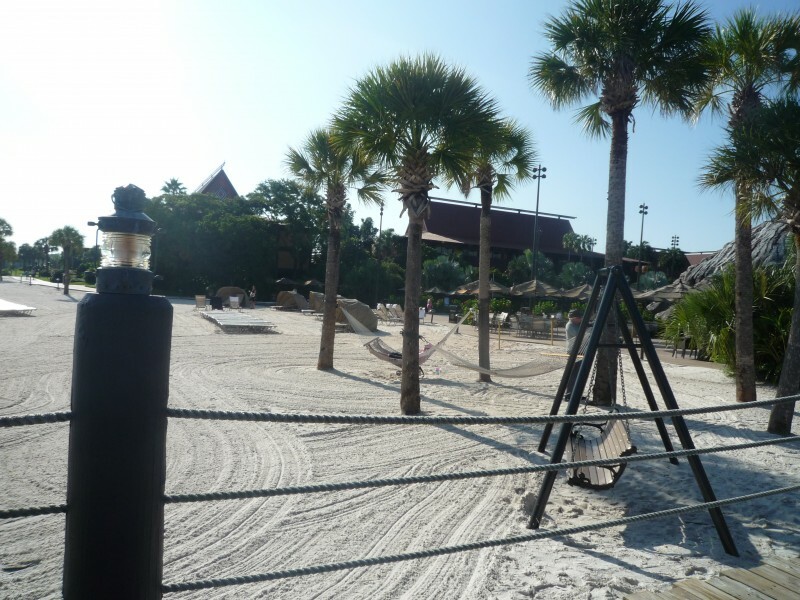 If you're feeling energetic then let off some steam in the Fitness Suite, join in a game of Volleyball or jog around the Lagoon whilst taking in the lovely views of the Magic Kingdom and the Wedding Pavilion. Kids can entertain themselves in Moana Mickey's Games Arcade or drop them off at the Neverland Club where that can play games and watch movies. 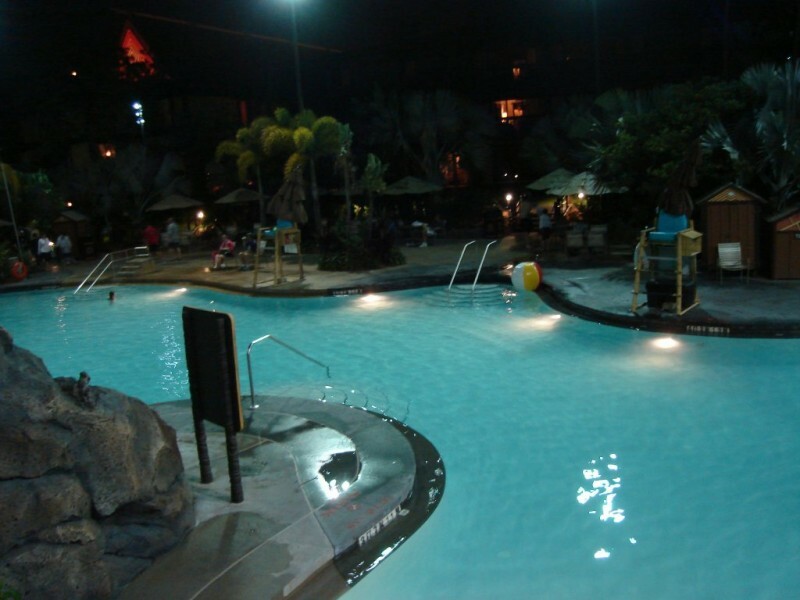 With two swimming pools, you can either take on the 142ft long waterside or take things a little easier in the Polynesian East Pool. For a bit of luxury you can hire a Cabana which will provide all your needs for a day in the sun. In the evening you can gather around the Campfire to enjoy storytelling, sing songs and eat some tasty treats, followed by a Movie under the stars. Page created by LaurenM on 17-09-2010 13:25.